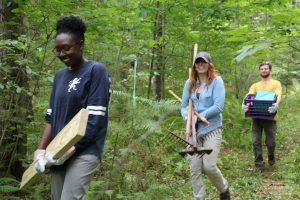 TerraCorps, an AmeriCorps national service organization focused on connecting communities to the land, selected Sippican Lands Trust as its Service Project recipient this spring. They do this by supporting up to 36 service members annually who spend 11-months serving local nonprofits focused on land access and conservation. Throughout the year, the TerraCorps team comes together to complete large-scale service projects that benefit different communities in Massachusetts like Marion. 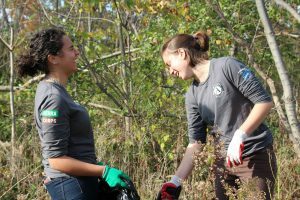 TerraCorps plans to bring 30-35 AmeriCorps members on Friday, April 12 to tackle several land stewardship projects at some of Sippican Lands Trust’s properties in Marion. TerraCorps members will spend most of the day cleaning and pruning trails, clearing brush and helping with office tasks.